Cloud Cover Cannabis prides itself on using the best technology to achieve the highest quality cannabis product. 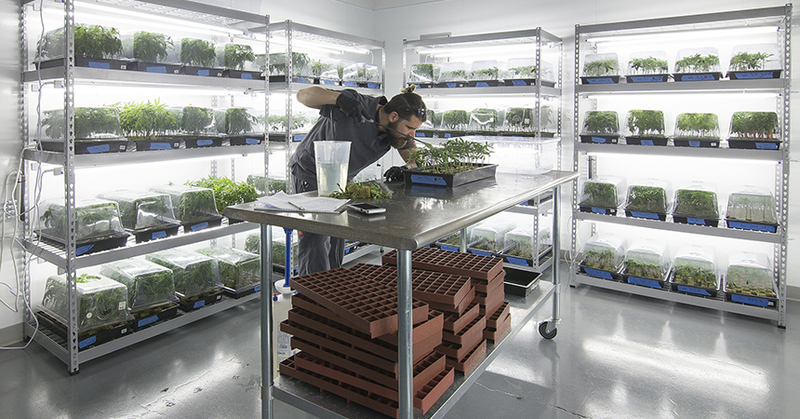 When selecting the heating, ventilating and air conditioning system for its new 36,000-square-foot indoor cultivation facility in Portland, the company did extensive research to identify just the right system. Energy Trust helped by providing technical assistance and an engineering analysis on the HVAC system. 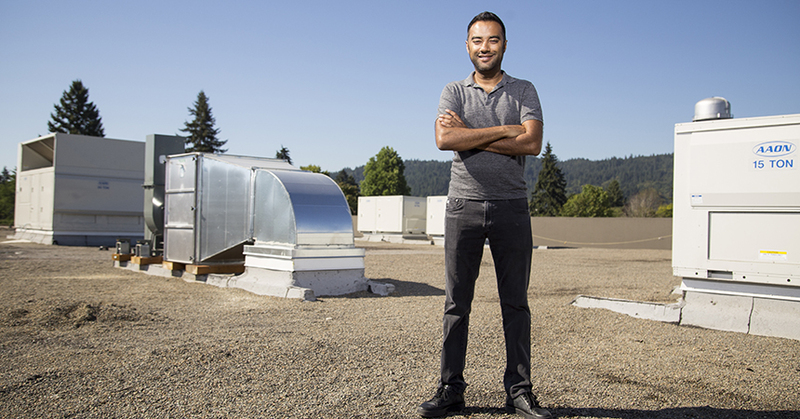 Ankur Rungta, CEO of Cloud Cover Cannabis, stands among rooftop HVAC units installed to maximize the efficiency of the firm’s indoor cannabis growing facility. Rather than installing standard rooftop units with constant speed fans and standalone dehumidification, Cloud Cover Cannabis opted for units with hot gas reheat, allowing independent control over temperature and humidity, using a single integrated system. The rooftop units cool incoming air to drop excessive moisture, then use the bi-product heat to reheat the air to the desired set-point. Variable frequency drive fans further reduce energy use by synchronizing fan speed to the exact air flow needed. 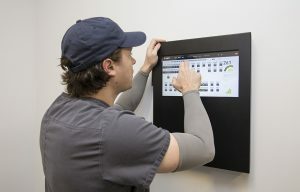 In the vegetative, flower and clone rooms, direct digital controls allow precise control over temperature, humidity, carbon dioxide and other variables depending on the environment. 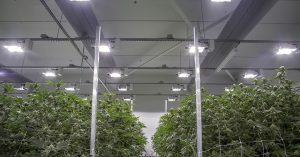 Cloud Cover Cannabis expects to save an estimated 698,000 kilowatt hours annually, trimming operation costs by an estimated $52,000. The company received a $124,100 cash incentive from Energy Trust to help offset the extra cost.